Reason 9. Best. Reason. Yet. x]. Wallpaper and background images in the Harry Potter Vs. 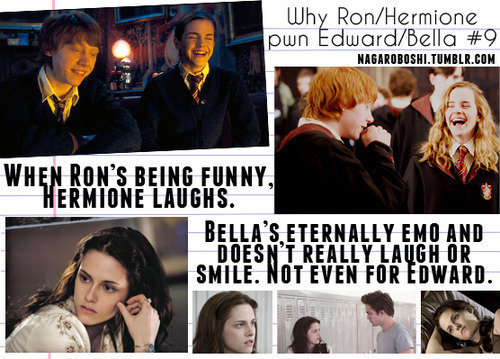 Twilight club tagged: hermione granger bella swan ron weasley edward cullen emo. This Harry Potter Vs. Twilight photo might contain krant, tijdschrift, tabloid, vod, papier, rag, teken, poster, tekst, bord, schoolbord, and pak.